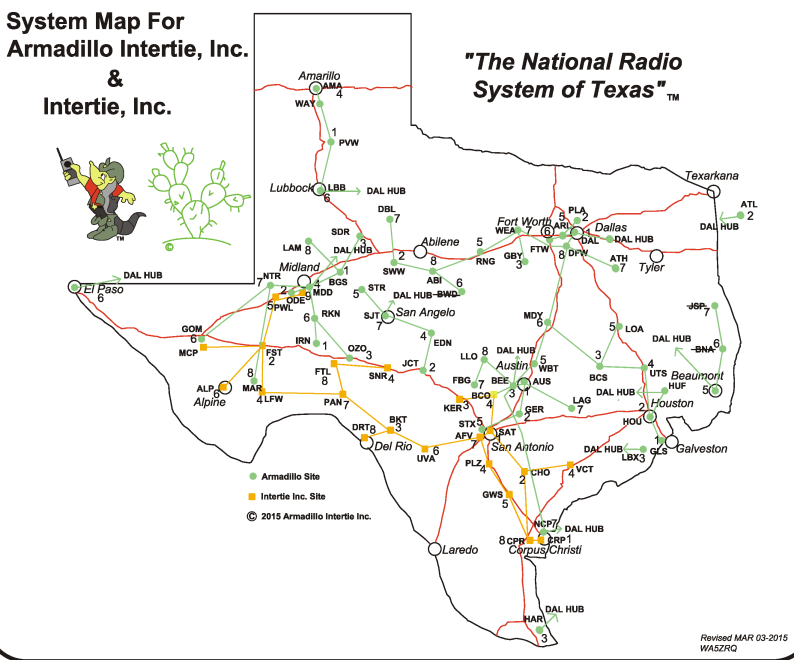 The Armadillo Intertie System is a system of UHF repeaters that are interconnected with full-duplex radio and IP links. The system was built by a group of friends who wanted a radio system which was reliable, and which had coverage in many areas in Texas. The system is connected to the Cactus Intertie System, which covers large portions of California, Arizona, New Mexico, Nevada, and Utah. Our system is used daily by its members and supports public service and emergency communications activities for many partners. Our members are very proud of our system and its commitment to public service communications when needed. More information can be found by reading our Frequently Asked Questions section.